Nosey's Wild Ride on the Belle of Louisville is a story about a steamboat on the Ohio River, the Belle of Louisville. She is the only steamboat in the country built during the Great Steamboat Era (1820s to the 1920s) that is still cruising! A mischievous cat wanders on board the Belle and leads four children on a wild chase all over the boat. This rascal of a cat causes pandemonium wherever he goes. In turn, the children learn what makes a steamboat unique. This book, authored by Martha Driscoll, includes the whimsical ink and colored pencil drawings of award-winning artist Sue Lion, as well as a Seek-&-Find activity for young readers. Both children and adults will enjoy this historically accurate and highly informative book about one very special steamboat — the Belle of Louisville. "Books are an avenue to the world, and the best books for children are the ones that delight and teach at the same time. Using captivating illustrations, the antics of an adventurous cat take the reader on an enlightening journey through the Belle of Louisville. With intentional historic accuracy, Nosey's Wild Ride is also a close-up look — both inside and out — of the oldest operating river steamboat in the United States. Join in the literary fun, and read along for the ride!" 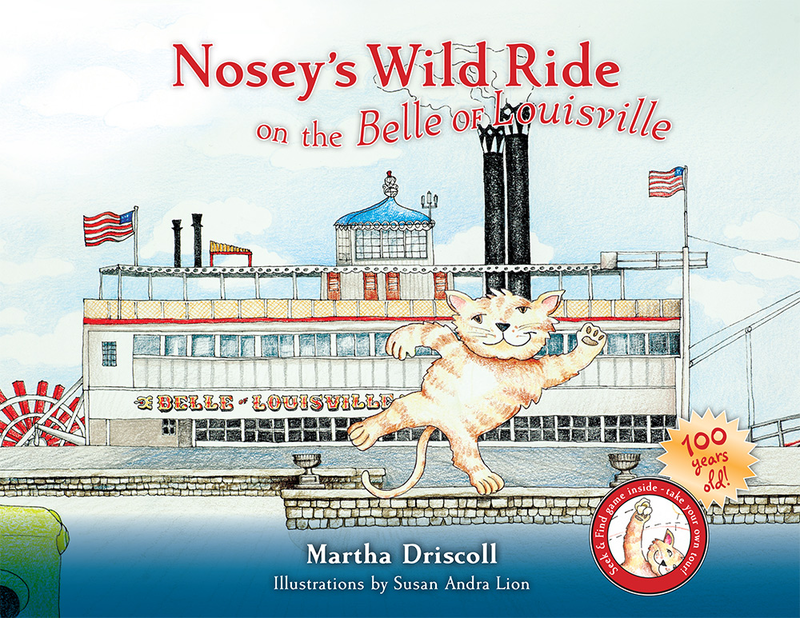 "Nosey's Wild Ride on the Belle of Louisville is a delightful story!" 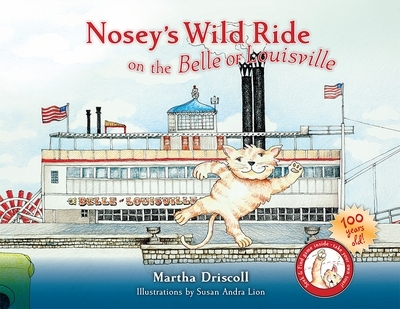 "Martha Driscoll has a life-long love of steamboats and she hands this adoration to us in her book Nosey's Wild Ride on the Belle of Louisville. Hidden in the high jinks of the rambunctious cat, Nosey, are lessons about transportation, history, and the design and workings of a steamboat. The illustrations bring the tale to life and readers will giggle and gasp at the cat as the kids explore the steamboat and enjoy a sunny day on the river."